INDIANAPOLIS — Tickets to the 2019 NCAA Women’s Final Four, as well as the accompanying Regionals, will go on sale to the general public this week. Regional tickets will be available for purchase on Wednesday, Oct. 24 and Women’s Final Four tickets will be available for purchase on Friday, Oct. 26 by going to ncaa.com/WBBTickets. On Friday, March 29 and Sunday, March 31, regional action will be hosted by Albany, New York (Times Union Center) and Portland, Oregon (Moda Center). Regional play on Saturday, March 30 and Monday, April 1 will be hosted by Chicago, Illinois (Wintrust Arena) and Greensboro, North Carolina (Greensboro Coliseum). Ticket information will vary per regional site. Tampa, Florida is excited be the home of the NCAA Women’s Final Four for the third time in the history of the championship. Semifinal action at Amalie Arena will take place at 7 p.m. and 9:30 p.m. ET on Friday, April 5, followed by the national championship game at 6 p.m. ET on Sunday, April 7. There are a variety of ticket options for fans, with prices starting at $75. Suites may also be purchased by contacting Executive Suite Sales at suiteservices@amaliearena.com or 813-301-2505 (not available to purchase online). Additional questions and information regarding the 2019 Women’s Final Four ticket process can be answered by going to ncaa.com/womens-final-four/ticket-questions. For both regional and Women’s Final Four, one all-session ticket will give fans access to the two semifinal games as well as the final game at the respective event in which they purchase their ticket. In addition to standard all-session tickets, the NCAA Experience premium tickets and hospitality packages from PRIMESPORT can be purchased by visiting ncaa.com/VIP. The NCAA Experience provides basketball fans the opportunity to experience the NCAA Women’s Final Four in style. Upscale food, drinks, live entertainment and chances to meet NCAA coaches and student-athletes are just some of the many luxuries of the NCAA Experience. 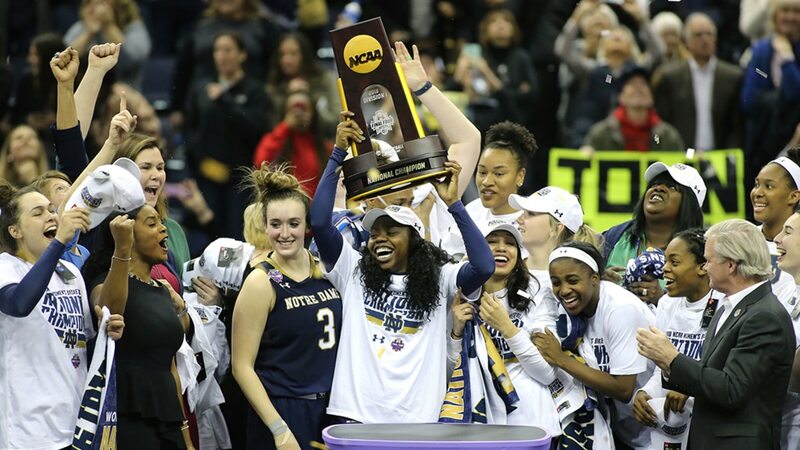 Those premium tickets can be purchased with or without Women’s Final Four tickets, and fans can rest assured they are buying directly from the NCAA’s only approved ticket, hospitality and travel package provider. For the latest information about the 2019 NCAA Women’s Final Four, visit ncaa.com/womensfinalfour.